The top stories on ABC News. Mackay and the Whitsundays are br﻿acing for heavy rain and strong winds as cyclone Iris moves south — parallel to the Queensland coast. The category two system is likely to slowly intensify over the next two days but isn't expected to make landfall. Queensland premier Annastacia Palasczuk says the state is well prepared for the cyclone with additional emergency serviced deployed. Victoria police has admitted the public has lost some confidence in the force after six officers were filmed allegedly assaulting a disabled-pensioner. The security vision shows the man being beaten and pepper sprayed at close range outside his home in Melbourne's northern suburbs. An internal investigation into the incident is underway but the officers involved are still on duty. India's Commonwealth Games team has been cleared of doping after syringes were found at the athlete's village on the Gold Coast but the team still faces punishment for breaching the games strict "No Needles" policy. Needles are banned in the village unless a team has been given a medical exemption. 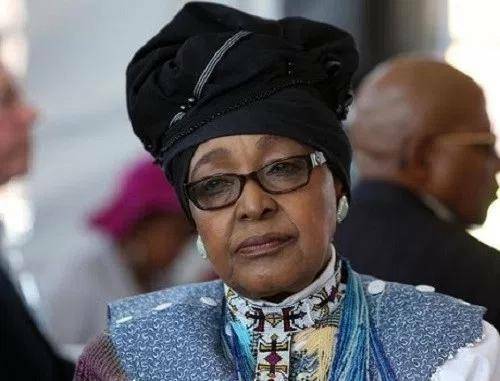 South Africans are mourning the death of anti-apartheid activist, Winnie Mandela, who died overnight. She was 81. The first lady and former wife of Nelson Mandela was a celebrated but controversial figure. She'll be honoured with a state funeral next week.